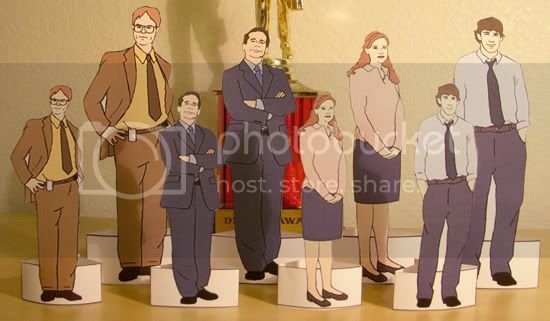 As a way to show my appreciation for them, I made these paper dolls based on Dwight, Michael, Pam and Jim from NBC's "The Office." Well, I guess they're not really paper dolls since you can't change their clothes but I'm not sure what else to call them. Mini standees, maybe? Anyhoo, my friends on DMI really seemed to enjoy them so I thought I would share them with you all. Update: I've added three more dolls with accessories and changeable outfits: Creed Bratton, Kelly Kapoor and Michael Scott with his desk. 1. 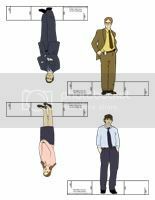 Open the PDF file containing the paper dolls (see below) and print each page out (the stiffer the paper the better - cardstock would be the best). 2. 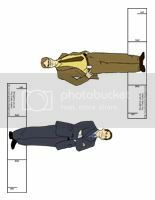 Cut along the outline of the stand and around each paper doll (you may have to use an X-acto knife to get all the details). 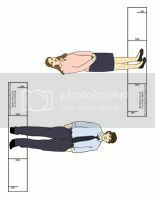 Cut two slits in the stand along the lines that say "cut". make a doll for him. :D I'd like to make some more dolls when I have some free time in the future, I'd love to have a Stanley doll! Wow, those are awesome. I hear the Office. Thanks Alice! Officetally rocks. :) I hope to make more but it probably won't be any time soon - I've got so many other projects in the works. Printing them and using them as decoration for a going away party for a coworker that is OBSESSED with the office. Thanks so much!